The good news is that it's quite easy to eat more sustainably. Science shows there are lots of ways to reduce your dietary carbon footprint without going vegan — or even giving up any foods you enjoy. Bonus: They'll probably save you money, too. 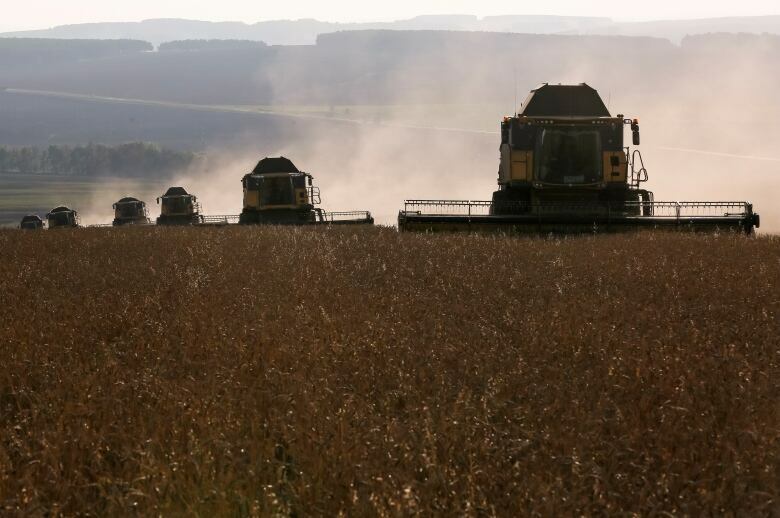 Food production is responsible for up to a third of greenhouse gas emissions around the world. A recent blog post from the World Resources Institute, a global sustainability think-tank, warns that agriculture alone could raise the Earth's average temperature more than 1.5 C above that in pre-industrial times if we don't change our eating habits. Many everyday foods generate a surprising quantity of greenhouse gas emissions. For example, a breakfast sandwich with bacon, sausage and egg that you picked up on the way to work would have generated the equivalent of about 1,441 grams of carbon dioxide, reports a recent study by University of Manchester researchers Namy Espinoza-Orias and Adisa Azapagic. That's about the same as a Honda Civic sedan driving nine kilometres. You see, a lot of energy went into making that sandwich, from feeding the pigs and harvesting the wheat to refrigerating the finished product until you can buy it. "It all adds up, little by little, in terms of greenhouse gas emissions," said Azapagic, a professor of sustainable chemical engineering. "So that when you put a sandwich together, with all the ingredients, plus the packaging, plus the transport, plus the preparation of the sandwiches, of course, then you get a relatively high carbon footprint." And it adds up. Using 2004 Canadian Community Health Survey data from more than 10,000 people in Ontario, a recent University of Waterloo study looked at the "global warming potential" of different types of diets. 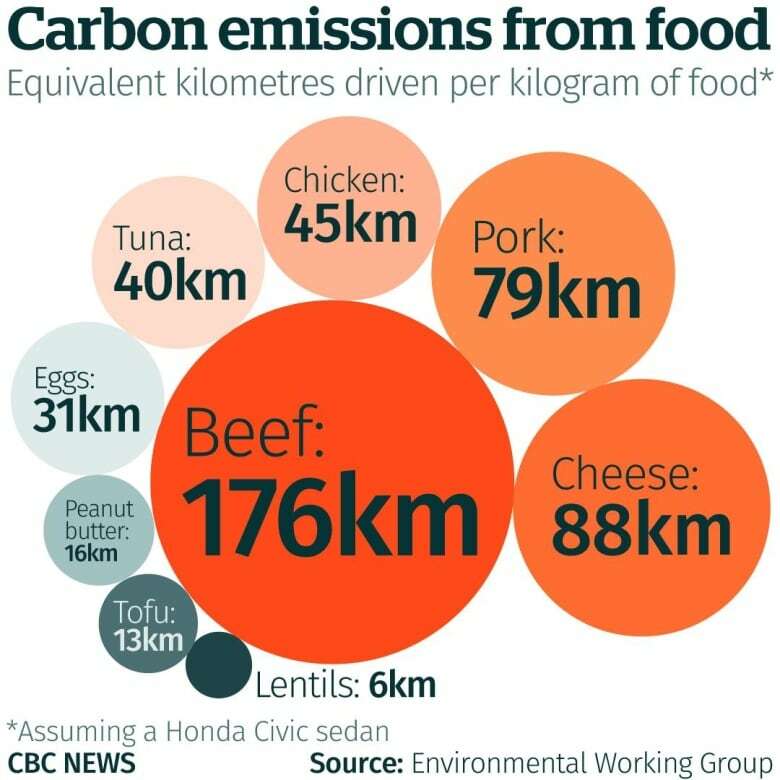 Based on what respondents said they ate in a day, it found that in a year, omnivores generate emissions equivalent to driving nearly 15,000 kilometres (that's more than three times the distance between Vancouver and Montreal). That's more than double the amount generated by vegetarians or vegans. Eating more locally produced and organic foods — advice given by some environmental groups — won't necessarily make a difference, studies show. But here are five simple things that research shows can reduce your carbon footprint from food. That's right — you don't even have to change what or how much you eat to make a difference. Just throw less away. According to the UN Food and Agriculture Organization, food waste is responsible for about eight per cent of total human-caused greenhouse gas emissions — almost as much as road transportation. 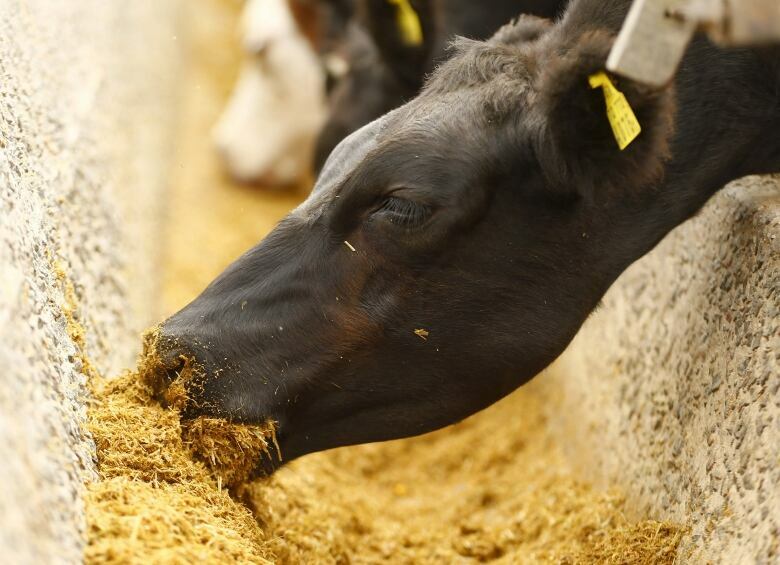 Not only are emissions generated from growing, processing and distributing food, but when it decomposes, food generates methane, a greenhouse gas that's 25 times more potent than carbon dioxide in terms of trapping heat in the atmosphere. The recent University of Waterloo study found that avoidable household food waste was responsible for 9.5 to 15 per cent of greenhouse gas emissions from food. Lead author Anastasia Veeramani, who conducted the study while she was a graduate student, said she was astonished by the amount of food waste. She comes from Siberia, where food is relatively scarce, and said seeing how food waste affects the environment "was quite a revelation." Reducing food waste wouldn't just help the environment. It could also save money. The average Canadian household wastes about $1,100 worth of food (about 140 kilograms) per year, according to 2017 research by the National Zero Waste Council. Veeramani, who now runs Nu Grocery, a zero waste grocery store in Ottawa, recommends being more aware of what you consume, only buying what you need and using up the leftovers. Careful meal planning can help, as can freezing food such as bread, sliced fruit or meat if you know you won't be able to eat it before it spoils, recommends the U.S. Environmental Protection Agency. Not all sandwiches are made equal, and the ones you grab from the fridge at the corner store may be significantly increasing your emissions. 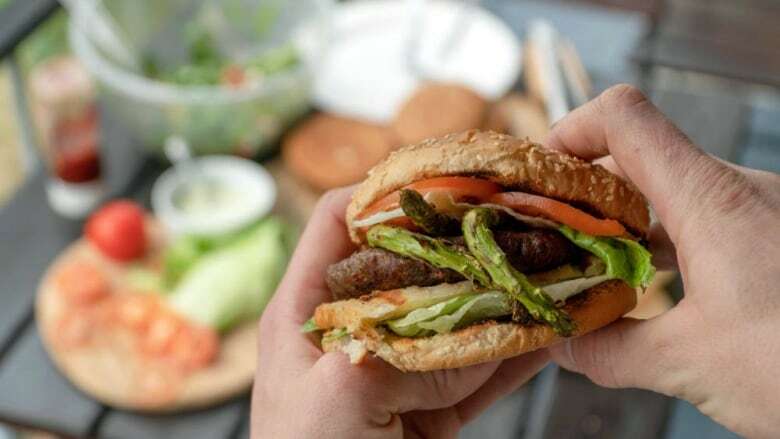 "If you make a sandwich at home, you will normally halve the carbon footprint of your sandwich," said the University of Manchester's Azapagic. That's largely because of increased food waste. Twenty per cent more food is thrown out in the preparation of a commercial sandwich, the study found. And then there's the energy needed to refrigerate the ingredients and the finished sandwich, along with operating the sandwich assembly line. If you don't have time to prepare your own food all the time, Azapagic recommends going to the deli counter and buying a freshly prepared sandwich. Many Canadians eat more than they need to. 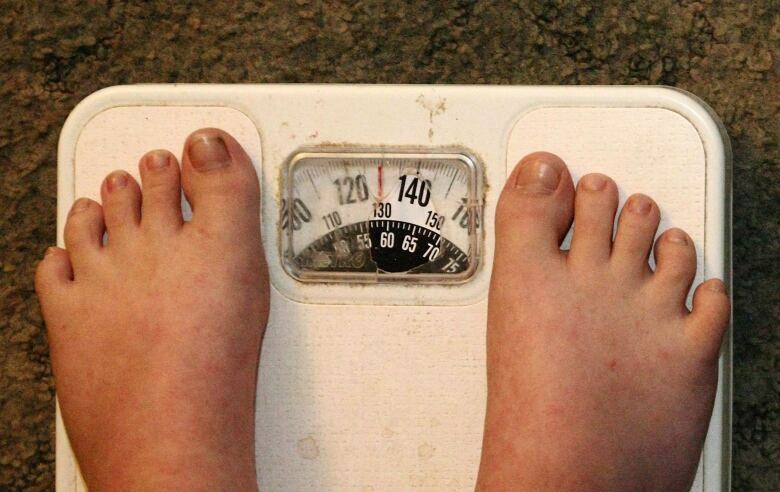 In 2014, 20.2 per cent of Canadian adults were obese, and 40 per cent of men and 27.4 per cent of women were overweight, Statistics Canada reports. Veeramani found that omnivores, who made up 30 per cent of the population in her study, ate 20 per cent more calories on average than the amount considered "optimal" by Health Canada. "Reducing overconsumption of calories" is the top recommendation in a 2016 report from the World Resources Institute on how to shift diets around the world for a "sustainable food future." Veeramani recommends that people make a conscious choice to eat the amount that they need, rather than the amount that they want. "It's better for health, it's better for the environment." Worried you're not getting enough protein? You're probably worrying unnecessarily. Veeramani's research found that people eating all non-vegan diets in the study — including vegetarians — were consuming 150 per cent to 250 per cent of the recommended level of protein, and 60 to 80 per cent of it was dairy, eggs, fish and meat. That's been backed up by other studies. According to the World Resources Institute, the average person in more than 90 per cent of the world was eating more protein than they needed in 2009, and the proportion of animal-based protein in people's diets has been growing dramatically. This is a problem, because animal-based proteins — especially red meat — consume more resources and generate more greenhouse gases than beans, nuts and other plant-based proteins . Producing beef uses 20 times the land and generates 20 times the emissions as producing beans, per gram of protein, the World Resources Institute reports. 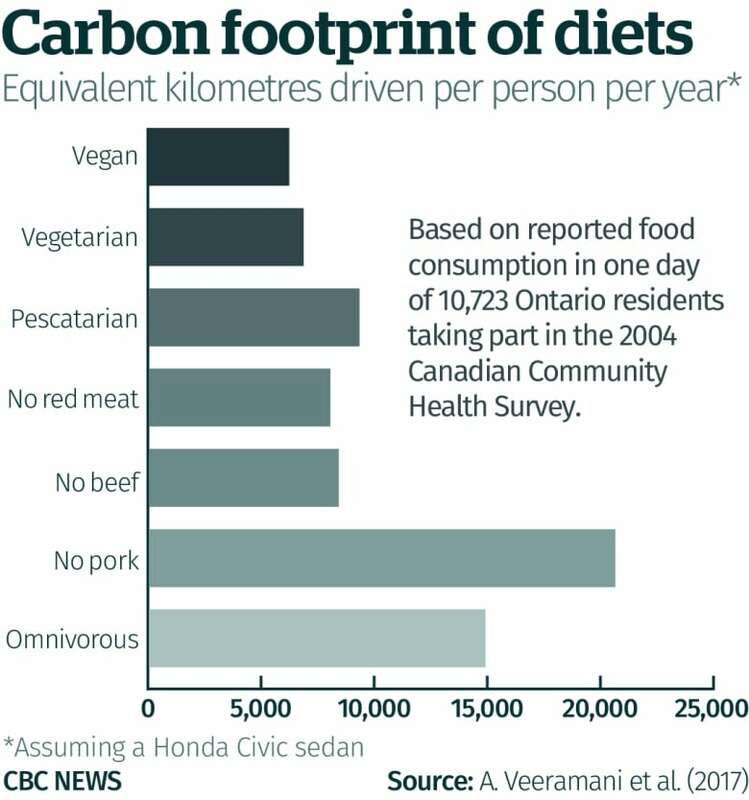 In fact, the University of Waterloo study found that people eating a "no pork diet" have a higher carbon footprint, on average, than omnivores, because they tend to replace pork with beef, and end up eating more of it than omnivores do. Veeramani said you can make a difference by eating smaller portions, fewer meat-based meals per day or week, or even switching from beef to other meats like pork or chicken. "Any reduction will improve your carbon footprint," she said. "It doesn't always have to be a full switch to a completely new diet." While meat and cheese might be bad for the environment, veggies aren't totally off the hook, either. The sandwich study found that whether or not you include tomatoes between your bread slices can have a big impact on emissions. That's because most tomatoes grown in the UK, where the study was done, are grown in greenhouses that use lots of energy for heating and lighting. In that case, one kilogram of tomatoes generates 10 times its own weight in emissions, Azapagic said. 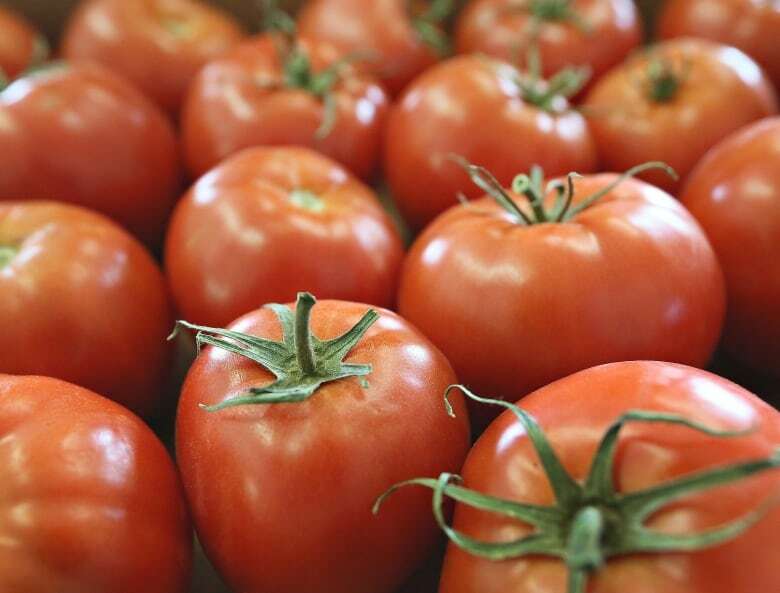 Canadian tomatoes are typically greenhouse-grown as well. That's one reason buying local isn't necessarily better for the environment — imported field tomatoes have a much lower carbon footprint, even when transportation is included. But tomatoes aren't the only questionable vegetable. U.S. food writer Tamar Haspel recently argued that we should be rethinking how much lettuce we eat. That's because it has almost no nutritional value, but requires lots of energy to be grown, shipped and refrigerated. "I think maybe we should start thinking about it as a resource-intensive, and maybe a luxury food," she told CBC Radio's The Current. Veeramani's study also flagged greenhouse-grown lettuce as having a big carbon footprint, not just from the way it's grown, but also because it spoils easily. Based on waste amounts in Canada, the study reports, well over half a kilogram of lettuce is thrown out for every kilogram we eat. Veeramani said "there's no universal solution" to lower your carbon footprint from food. Her top recommendation? "Just being conscious of what you consume." Food Fight: Al Mussell - Want to save the planet? Skip the farmer's market!